What is your favorite beach memory and experience? As for me, building sand castles and looking for sea shells and other treasures on the shoreline was the happiest memories I spent on the beach. Simply by sitting at the beach makes me recall my idyllic childhood. However, as we all know, the sea is safe to no one. Certainly, beaches can be a great place to have fun and to swim the vastness of the sea but anyone can be at risk if they do not follow safety rules when at the sea. Children especially, can be in danger of being dragged away by strong wave force of the sea that is beyond their control. This is why parents must watch over their children while in the water to prevent undesirable events. There are lifeguards patrolling in the vicinity for sure, but they aren’t always around to help you or others when something goes wrong. Lifeguards play a huge role in communities because they are essential in making beaches safe and secure for the people. Lifesaving is both rewarding and a challenging task, it is a skill you can use to help save others in an unwanted situation. Southbourne Surf Life Saving Club (SSLSC) encourages children to join their club and become a volunteer beach life saver of Southbourne beach. 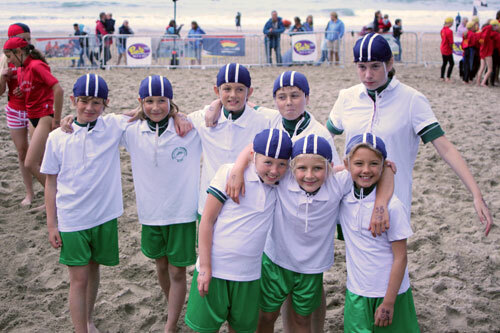 Children in the club will be taught surf safety, basic lifesaving skills as well as surf and beach sports. It would be a meaningful childhood experience for children to get engaged in this kind of club while young. SSLSC expanded massively since 1986 especially in the Young Life Savers section. The club provides an exceptional service to the residents and tourist of Southbourne creating a safe and healthy community for all. It offers various activities for club members where they can learn lifesaving skills and compete in Life Saving Sports events.